It’s been really cold, lately. Schools were canceled right as they returned from break, temperatures dropped, and the local news advised that all pets and plants were kept inside. 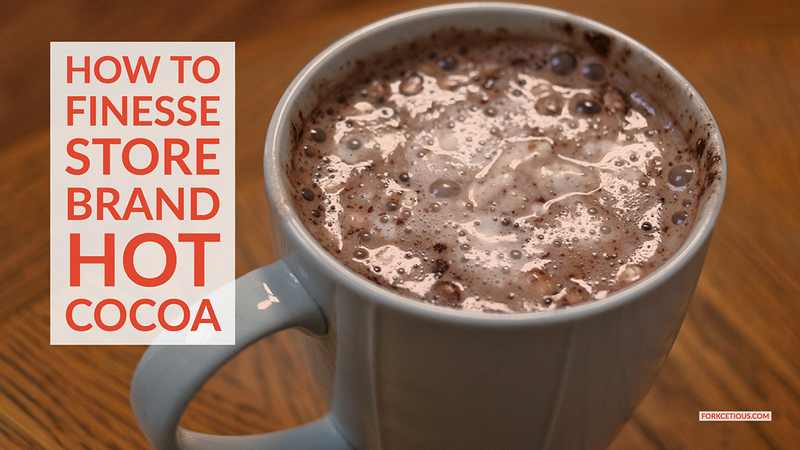 When it gets that cold, I turn to drinks that keep me warm like hot cocoa. Now I don’t have some grand recipe here where I tell you how to use the finest South American cacao and Himalayan salt and duck fat to create some magical drink. Nope. I really just grab a local grocery store’s brand of hot cocoa mix and spruce it up. Now, these hot chocolate mixes usually say pour 6-8 oz boiling water into a mug and pour the packet of chocolate in it and stir. 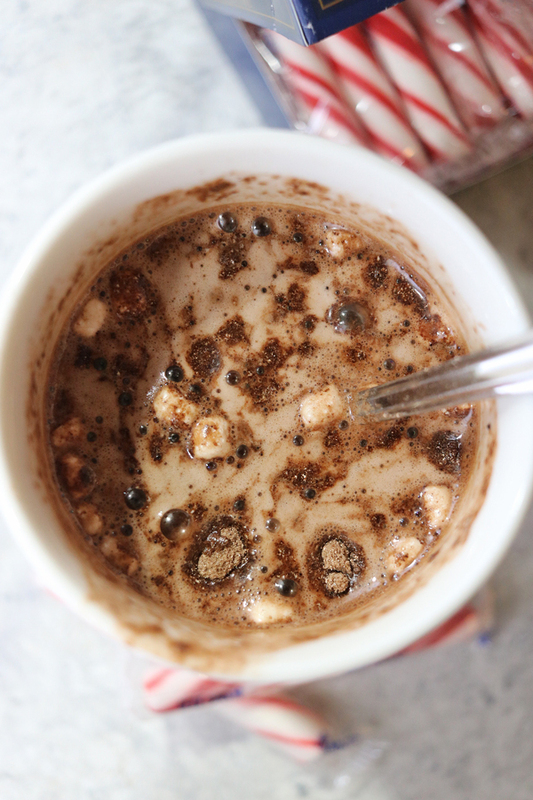 Voila, instant hot cocoa, right? Well, sure if I was basic and didn’t love the finer things in life. I ignore the request for boiling/hot water and add hot almond milk instead. I recently discovered that a more plant-based life is the life for me, so I avoid most dairy at all costs. I just prefer almond milk to anything that could require water, such as chai and other black teas. Again, I prefer So Delicious Dairy Free’s CoCo Whip to whipped cream, but this really comes in handy to thicken the hot cocoa. The coconut flavor isn’t overpowering, which is about as much coconut I can tolerate, honestly. 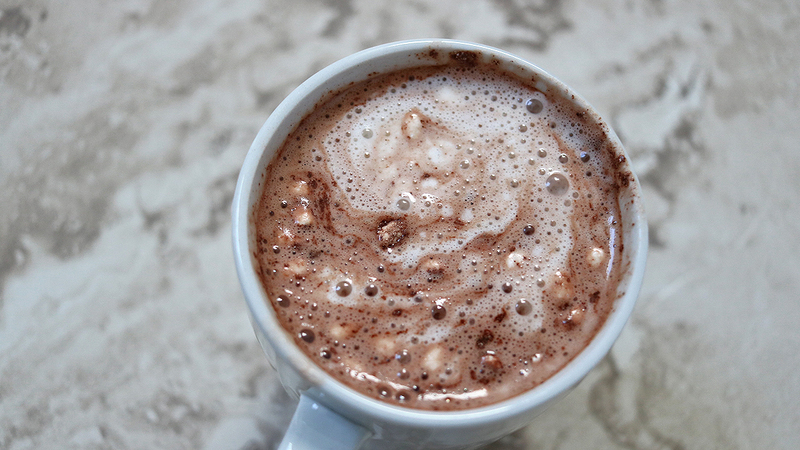 Creamers can often add a complimentary flavor to the hot cocoa, like vanilla. I prefer to use Califia’s Better Half Coconut Cream & Almondmilk if I’m in a rush or if I want the taste of almond milk and the dairy-free whipped cream. Regular half & half just provides a good, thick and creamy flavor, too. Coconut flakes in hot cocoa? Yea, I like to live a little, especially if I add the CoCo Whip or Better Half. The coconut flakes just brings out the flavor of the coconut without overpowering or diluting the overall cocoa taste. It’s just an added bonus. Peppermint and chocolate go together like black beans and rice. (Think about it.) A good, minty addition to the chocolate flavor lightens the drink. I found these King Leo peppermint sticks from Tuesday Morning for less than $2. This works for a good morning in the house or if one is entertaining and wanted to make a hot chocolate bar. The sticks also work as a stirrer, so if the drink is hot enough, the peppermint should melt away. I love any excuse to add schnapps to a drink. Rumple Minze has been pretty good to me in the past, so of course I’d add it to my hot cocoa. I don’t add the peppermint sticks if I know I’m going to add the schnapps or else, the peppermint flavor will be too strong and syrupy. It doesn’t make the drink too boozy, so lightweights can enjoy one (maybe two) in moderation and feel just as festive as the rest of the crew. So this is how I enjoy the cold weather: inside, curled up, and drinking a delicious hot cocoa. The added ingredients make for a great drink. Hope you enjoy, too.